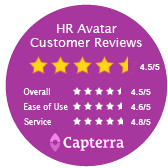 Why Use HR Avatar Pre-Employment Tests? Bad hires cost money, time, and resources. For example, the U.S. Department of Labor estimates that the average cost of a bad hiring decision equals approximately 30% of the individual's first-year salary. So, for an $80,000 employee, that's a potential risk of $24,000 every time you make a new hire. Many recruiters and hiring managers understand this. That's why the American Management Association (AMA) estimates that over 70% of employers in the United States test at least some of their candidates. "Your workforce needs to create some special sauce that makes customers say, "Sure I could get this from seven different companies, but this one does this certain thing that I like best, so I'm giving them my money." In virtually any organization around the globe today, that "Special Sauce" that Mr. Cable is referring to is created by your people, and the quality of "your people" starts with your hiring decisions. The bottom line is that companies that use testing in their hiring process experience lower turnover and higher productivity. So why test? The answer is simple: To make fewer bad hires and more good ones. Like a good marriage, a successful employee-company relationship requires a match in multiple areas. First, they have to be able to do the work. Next, they also need to enjoy the work enough to want to do it. Finally, they cannot fall victim to derailing behaviors. The candidate must be able to perform the tasks associated with the job. If they can't, it doesn't matter how well they fit with the organization, or how loyal they are. They can't deliver their end of the bargain - they can't do the work. Therefore, candidates either need to have the knowledge, skills, and abilities to do the work, or they have to be capable of learning the required knowledge and skills in a reasonable amount of time. Next, even if they can either do the job immediately or learn to do it quickly, they also have to want to do it. This often means they have to be predisposed toward the different tasks of the job. For instance, a person who doesn't like sitting at a desk and reading may not like a job analyzing documents, even if he or she is capable of doing it. In essence, their attitudes, interests, and motivations must 'fit' with the job. Frequently, wanting to do a job also means the employee must get along with others in the organization and work well as a member of a team. Generally, this means their attitudes must match the culture of the organization. Finally, to be successful, a candidate who can do the work, wants to do the work, and fits in with the organization can still fail if they have work habits which can derail them. Clearly we believe in the value of employment selection testing. However, we want to emphasize that test results should never be the sole criteria in your hiring decisions. The best results are obtained by using online testing as an input to a multi-faceted process of evaluating job candidates. In addition to testing, this process should include additional steps such as interviews, reference checks, and work samples. "The tests make an awesome impression on our candidates. I couldn't imagine going back to a simple text-based testing method." - Brendan Keegan, President and CEO, Velocity Performance, Inc.